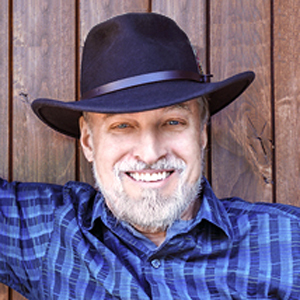 I have lived in Nevada City, California for since 1977 and specialize in helping great folks buy and sell homes and land in Nevada County. Nevada City and Grass Valley are in the Gold Country of the Sierras, 2 1/2 hours from San Francisco and 1 hour from Lake Tahoe. I grew up in the San Francisco Bay Area. I am a full-time Realtor for Coldwell Banker Grass Roots Realty here in Nevada City and Grass Valley, CA. I have worked for them exclusively for 35 years. We have four offices in the county and I am a full time Realtor. I am a CRS “Council of Residential Specialists” and was the 2007 CRS of the Year for Northern California. I serve on the Board of the California Council of Residential Specialists. I am married with three daughters. Before moving to Nevada County I lived and worked as a Teacher in Japan and Peru, teaching English and Social Studies in the American Overseas Schools system. I have also worked in London in construction and remodeling. For Sellers I am constantly researching the market and property values so we can position your home effectively from the first day. This site has information for you about preparing your home for sale, pricing your home appropriately, marketing it effectively and completing the escrow process for a successful sale. I have a complete marketing plan and references available to you upon request. For Buyers, I am dedicated to providing you with the finest service available and making your move to Nevada County as fun and easy as possible. I give you access to our Multiple Listing Service and you can set up “instant” notifications of new listings of the type of home you want. It has been my true pleasure and luck to have worked with John for at least 30 years! Each real estate buyer and /or seller needs a professional in their corner to protect their interests, and John is that “Pro”. I love real estate for many reasons. The variety of clients is always changing and each day is different. I never get bored. It has given me the income to do everything I have wanted to do, personally and with my family. I have personal freedom and can take time off. When my daughters were in school I was able to go on many of their field trips, which included such trips as a week in Death Valley. The company I work for, Coldwell Banker Grass Roots Realty, that little startup company from 1980, is where I have worked for 35 years. They are a great team of agents and managers. Not many agents can say they have been with the same company that long. And now we own a 25% share of our market and have 4 offices.